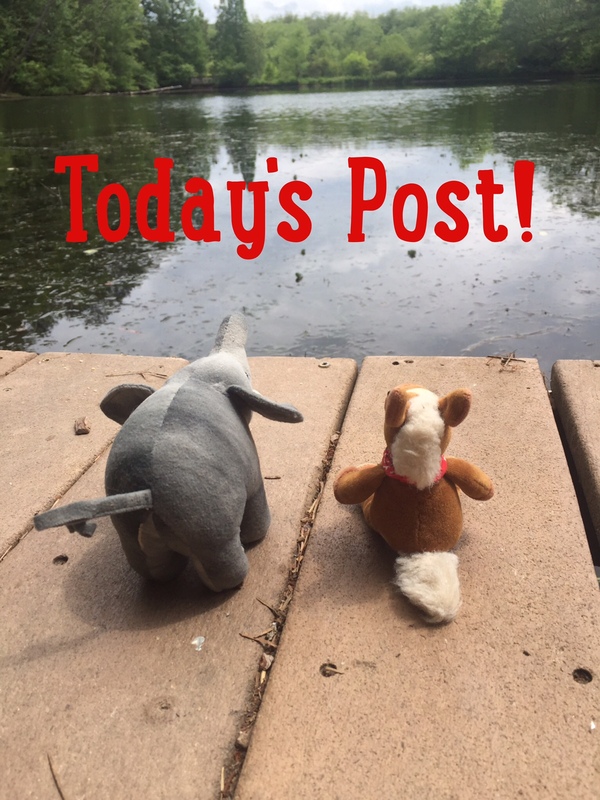 We’re going to meet a lovely little duck today! These guys live in North America, so we’ll be taking a road trip to Michigan to see if we can find this bird! Grab your binoculars, cameras and your best bird watching eyes! MEET THE GREEN WINGED TEAL! 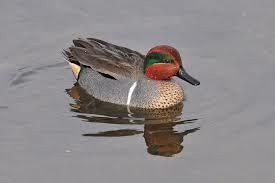 Green winged teals are small ducks. Both male and females have a green patch on their wing. Male green winged teals are more brightly colored. Green winged teals nest on the ground. 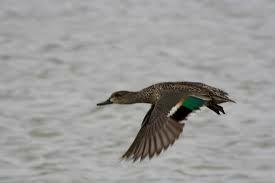 Green winged teals are dabbler ducks. 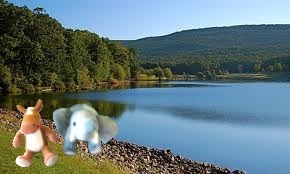 They feed by submersing their heads in the water. 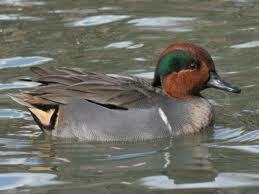 Green winged teals are gorgeous ducks. We like to watch them feed, because their bums stick out of the water! Hahahaha!